!! OMG, he’s back: Snowzilla !! 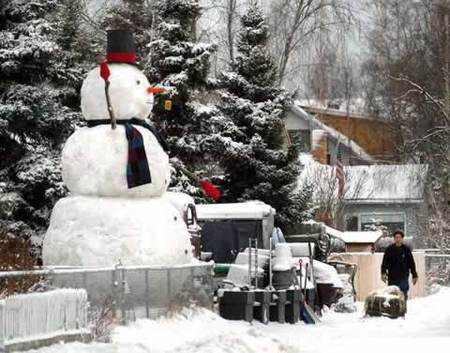 A 25 foot tall snowman has been erected (tee hee) in Alaska despite a cease-and-desist order. The snowman has appeared since 2005 and has been built on a residents’ lawn by anonymous constructors. Be the first to comment on "OMG, he’s back: Snowzilla"